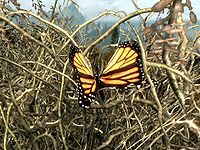 Butterfly Wings can be acquired by catching orange monarch butterflies. You receive two wings for each butterfly you catch. This page was last modified on 3 June 2018, at 17:30.